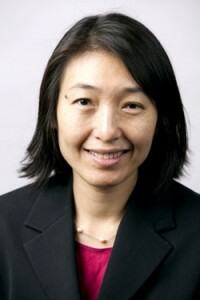 Jennifer Liu, professor of East Asian languages and cultures at Indiana University. BLOOMINGTON, Ind. (February 2, 2011) – The Language Flagship, an initiative of the National Security Education Program within the U.S. Department of Defense, has chosen Indiana University as the only location for its graduate level activities in Chinese. The federal grant, with a total value of $560,000, recognizes IU as a national leader in Chinese language instruction, curricular innovation and teacher training. In 2008, the IU Center for Chinese Language Pedagogy – located within the College of Arts and Sciences – was selected for the Flagship’s undergraduate program. Mandarin Chinese is one of the fastest growing languages for students in secondary schools and colleges nationwide. The CCLP also is supported by IU’s Department of East Asian Languages and Cultures and the East Asian Studies Center and is led by Jennifer Liu, professor of East Asian languages and cultures. “China is of increasing importance to the United States and the world in terms of politics, economic issues and cultural exchanges. I am delighted that Indiana University is able to play such a constructive role in increasing the competence of our students and I am particularly pleased that the prestigious Flagship grant has been awarded to this university,” said Patrick O’Meara, IU vice president for international affairs. Liu said IU’s earlier experience with the undergraduate Flagship program — which admits about 25 students annually — led to the university being awarded the graduate program as well. “The reviewers were very impressed by the level of commitment to this program by IU and its leadership, as well as the potential to develop a solid program that is rooted in the department and in the College,” said Sharon K. Nishizaki, director of fellowships and grants at the Language Flagship. “Our program has been very successful,” Liu said. “Our reputation has been growing around the country and many have contacted us, saying they heard that Indiana University’s Flagship program really prepares students who want to be proficient in Chinese. “This grant award will allow us to further strengthen our leadership role in combining cultural studies with superior language instruction to create global professionals,” she added. Applications only were solicited from institutions that are currently funded as Chinese Flagship Centers or partner programs and had to focus on how they would recruit students from a broad range of disciplines and majors. With the addition of the Graduate Flagship Center, IU has the opportunity to perhaps double its enrollment in master’s level courses in Chinese studies. Each year, the Department of East Asian Languages and Cultures receives about 70 applications for its M.A. Chinese program and accepts about 15 students. Anyone who has been admitted to the program also qualifies to apply for a Flagship Fellowship, a separate program that underwrites their tuition, fees and all expenses. The Language Flagship’s graduate activities at Ohio State University will be phased out later this year. The award became effective on Jan. 1, and will continue through May 31, 2012, with a funding commitment through May 31, 2014.